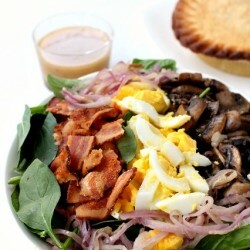 Spinach salad with hard boiled eggs, sauteed mushrooms, red onion and bacon, tossed with a skillet made bacon dressing. 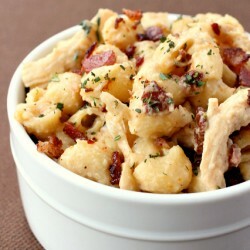 Chicken marsala combined with creamy, stovetop macaroni and cheese. 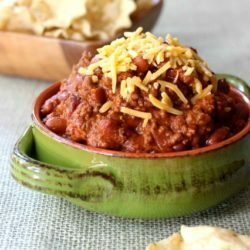 This everyday chili is the perfect chili recipe for your family. It can be used as a base for many different recipes! 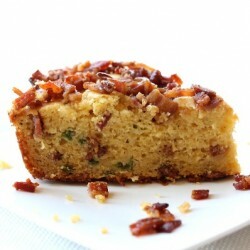 Sweet candied bacon on top of spicy jalapeno cornbread – the perfect sweet & spicy combination! 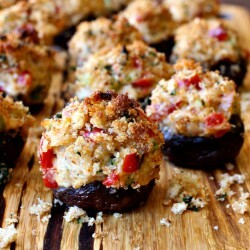 These Stuffed Mushrooms are the perfect Thanksgiving appetizer! Stuffed with crab, vegetables and cheese and topped with a crispy, garlic breadcrumbs. 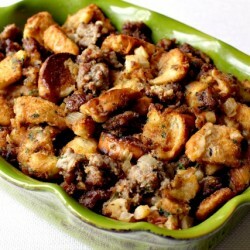 A make ahead sausage and apple stuffing that’s sure to become your family favorite! 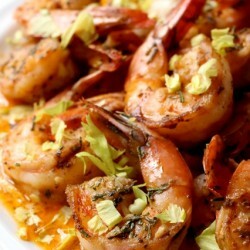 Seafood comfort food – sit down to a bowl of these shrimp with a big hunk of bread for mopping up the sauce! 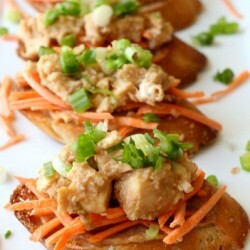 Spicy chicken satay piled on top of crunchy baguette slices – a unique appetizer your guests will love! 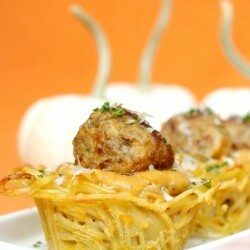 These spaghetti and meatball cups with pumpkin sauce will be the hit of your next party for appetizers, or served as a fun dinner to your family!